A slave Arduino Uno connected to a master Arduino Leonardo with an Ethernet shield connected to a wireless router connected to a Ubuntu server. 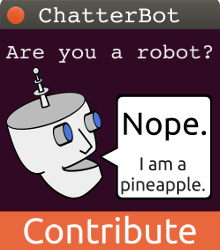 This is my latest modification to the robot. In addition this setup of controllers has a relay shield and a motor shield that allow it to control a few of the robot's functions. I'm setting up the server to communicate with the master Arduino so that I can control the robot from a webpage. The server is running Tomcat so that I can write programs in Java to interact with the Arduino. The Arduino IDE is written in Java and that should make integration between these devices much smoother. I've pushed my latest code to GitHub so now that I have the hardware hooked up I can start working on integrating the ability to control the Arduino. My goal is to create a tool that will make the development of the robot easier, while at the same time, integrating development tools with the robot's control interface. a hard time clearing my mind in getting my thoughts out there. too. This type of clever work and coverage!